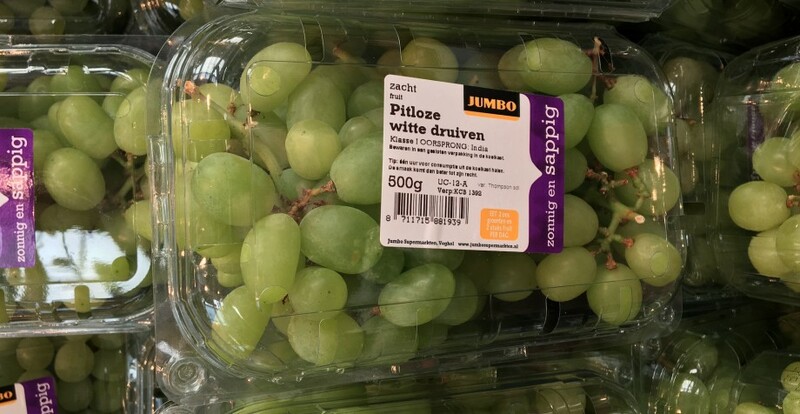 When it comes to value, the European import market for table grapes appears stagnant at best. Between 2012 and 2016, total imports rose by just 2 per cent to US$8.7bn according to ITC data. In its two largest markets, Germany and the UK, growth in the value of imports was even slighter at just 1 per cent to US$675.4m and US$673.7m respectively. In other markets such as France and Poland, as well as northern Europe’s two main import hubs for the fruit, the Netherlands and Belgium, the value trend in 2012-2016 was consistently negative. In Russia meanwhile, which remains Europe’s fifth-largest destination for imported table grapes, the recent blockade of EU produce has resulted in a 24 per cent decrease in import sales, although this no doubt had some correlation with a simultaneous 42 per cent hike in exports through the decidedly leaky borders of Belarus. For many in the business, an overriding problem appears to be oversupply at key times. In late June, for example, arrivals from India and then Egypt were reportedly quite a way ahead of demand. “Some importers still have a lot of fruit left over from India, which has put huge pressure on prices as Egypt comes into the market,” one importer commented at the time. Around the turn of the year, the story was a similar one, characterised by excess supply as the southern African season was in full flow. Given the recent uplift in demand over in Asia, the fact that supply remains too high at key points in the supply calendar would suggest that there is a more fundamental problem in the European market. Christian Corssen of Chilean table grape exporter Santa María believes that, in the context of such a competitive marketplace, the industry is waking up to the need for better varieties. His country has seen its grapes sales to Europe fall by around one-third to just over US$145.9m (ITC) between 2014 and 2016; and while that decline has coincided with a rise in sales to Asia, notably China, during that time, its overall export sales were also down. “The 2016/17 season was a wake-up call for Chile due to climatic factors but also structural things,” he tells Eurofruit. “Retailers are demanding newer varieties and rejecting traditional ones, especially in the US but also in Europe to a degree. Basically the problem is that Chilean growers cannot access the new varieties because the regulatory is stricter. Others in the industry are placing their faith in new varietal development. Italian consortium Grape&Grape Group, a new company formed in Puglia, Italy, by breeder Stefano Somma, agronomy experts Agriproject and producers Fratelli Laporta, Secondulfo, Franco Pignataro, Frudis, Gruppo Frava and Sop, recently made three new varieties (Apulia Rose, Luisa and Fiammetta) available to anyone willing to pay royalties on the fruit’s sale.